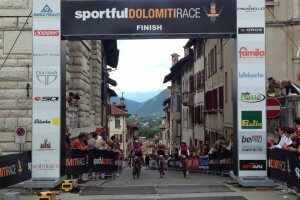 The Gran Fondo Sportful Feltre Dolomiti is one of the hardest cyclo sportives in Italy. 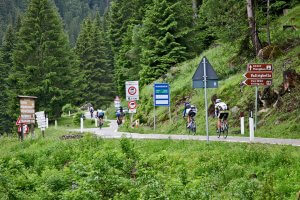 In 2009 the famous Gran Fondo Campagnolo became the Gran Fondo Sportful. 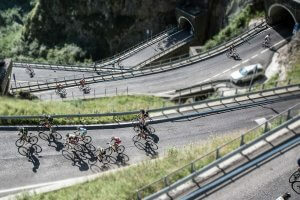 Based in the small town of Feltre, in the foothills of the Dolomites, the Gran Fondo Sportful Feltre event is must do. 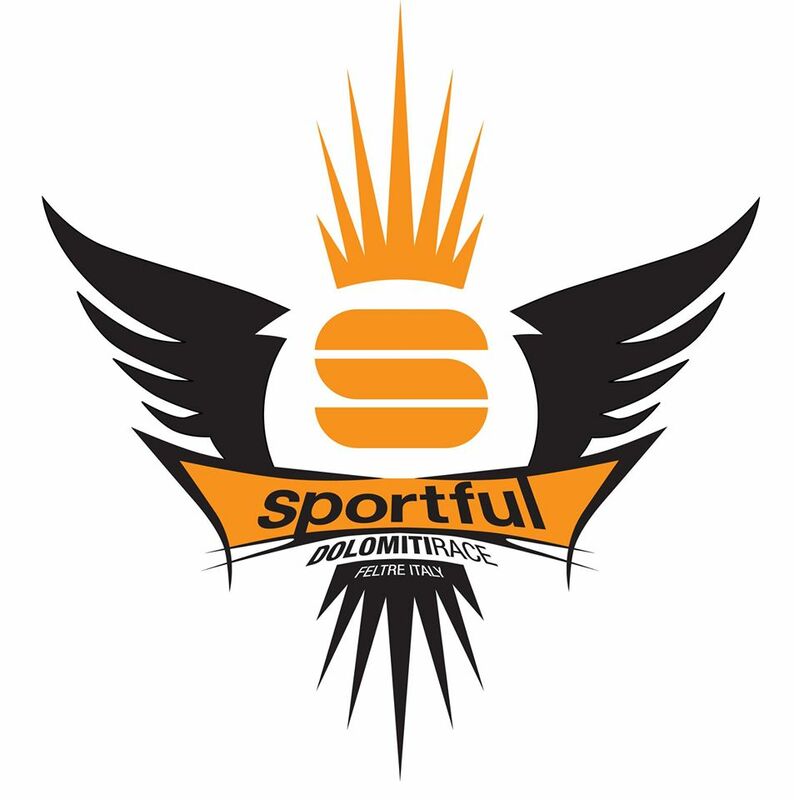 Guided cycling Tour Gran Fondo Sportful 2019. From June 14 until June 17. 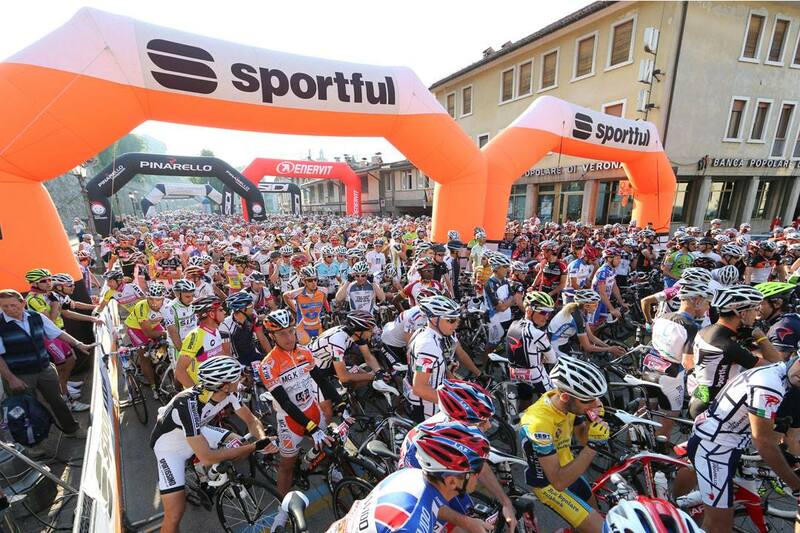 Join 4.500 other cyclists for a Gran Fondo highlight in the north-east Italian town of Feltre. Check in at 4**** hotel in Follina. This accommodation is specifically chosen to enable you to ride out into the best local cycling countryside not far away from Feltre and right in the middle of the Prosecco region. 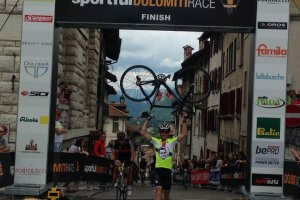 A superb course takes you over some fantastic climbs and through some of Italy’s most treasured countryside. There are two distances to choose 132km and 204 km all going out on a circular route starting and finishing in the small town of Feltre. Starting from the town of Feltre the route quickly climbs into the Dolomites tackling legendary climbs of the Croce D’Aune, Passo di Rolle and the Passo di Valles at 2032m. 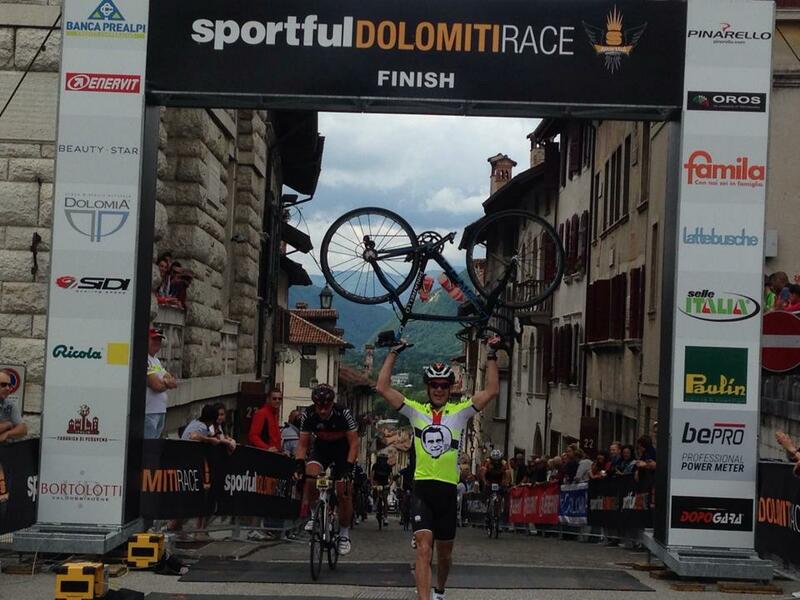 After 204km you return to Feltre with over 5000m of climbing in the legs! 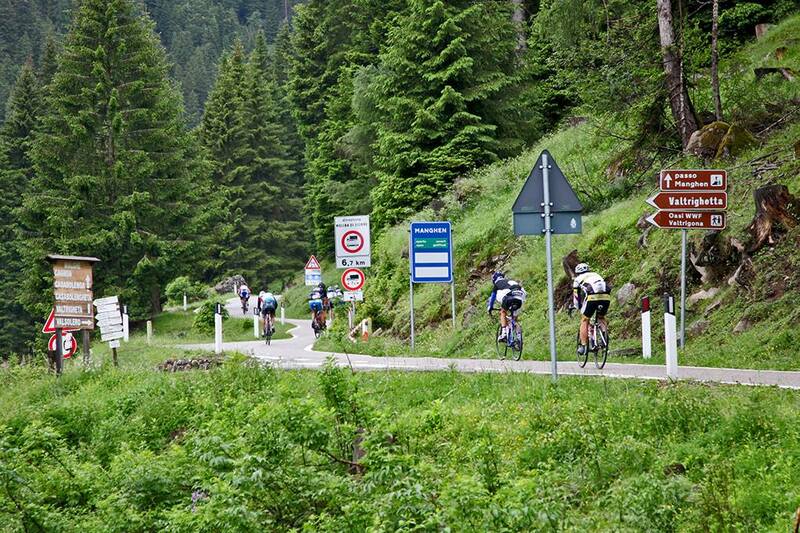 Ride the Gran Fondo Sportful Feltre and get in wonderful cycling experience in Italy! 4 **** Hotel in the heart of Follina. One trainings ride around 60-80km (with coffee stops) and followed by a nice lunch and wine/Prosecco tasting. 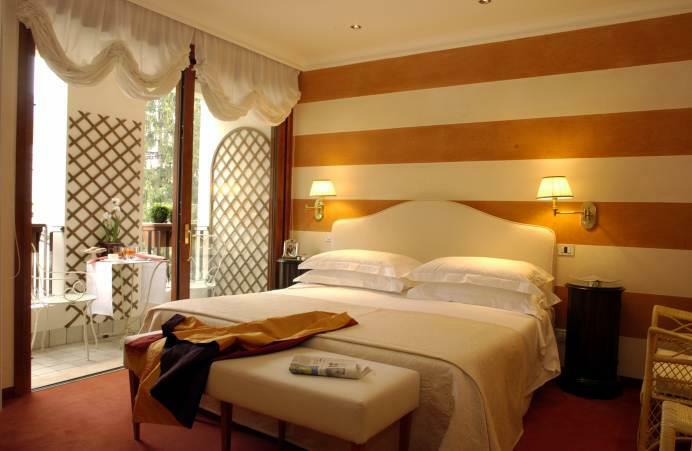 Follina is an ideal base for exploring Treviso, Asolo, and the Prosecco wine trail. You will cycle around the Prosecco hills, where you will taste superior wines and excellent food. Day 1 Friday June 15 Check in at 4**** hotel in Follina. This accommodation is specifically chosen to enable you to ride out into the best local cycling countryside right from the front gate. Evening meal will be the Trattoria (4 courses water and espresso ) excluded wine. You have the possibility of vegetarian and vegan menu please advise before arrival. 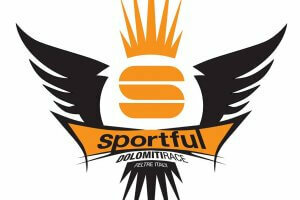 There will be a briefing for the next day’s activities and for the Gran Fondo Sportful Feltre. Cycling tour TOUR BETWEEN CONEGLIANO AND VALDOBBIADENE - 70KM On today’s trip you will climb the hills of one of the best known and important area of Northern Italy for their wine production. You will go up to Cartizze hills, closed to Valdobbiadene, which is the real heart of the wine culture, where everything is vineyard. The “Prosecco street” is the first tour which has been included into the food and wine tourist Italian guides which goes towards the most suggestive sites of the wine culture. Its 35 km are a continuous succession of different villages, vineyards, evocative horizons, history, arts and emotions which rise up after every single turn. It’s a round trip which can be started either from Conegliano or from Valdobbiadene and worth to be done also for the back After a short climb you will reach Refrentolo, you go down to Solighetto and at the end of steep turns you will turn left. Really interesting can be to reach the “Molinetto della Croda”, which is really wonderful and must be seen. From the Centre of Col San Martino you will go through Guia and Miane which go up with gradual slope. Once you reach the Pedemontana public street which comes from Follina and MIane, you will turn left towards Valdobbiadene and after some up and down from where you can see the famous Santo Stefano and San Pietro di Barbozza vineyards, where Cartizze is produced, you will finally arrive at Valdobbiadene. Morning coffee stop - afternoon lunch and wine/prosecco tasting in the afternoon. Evening meal will be the Trattoria La Cantinetta (4 courses water and espresso ) excluded wine. The Medio Fondo course will be 134km and the Long route 204km. The routes all going out on a circular route starting and finishing in the small town of Feltre. 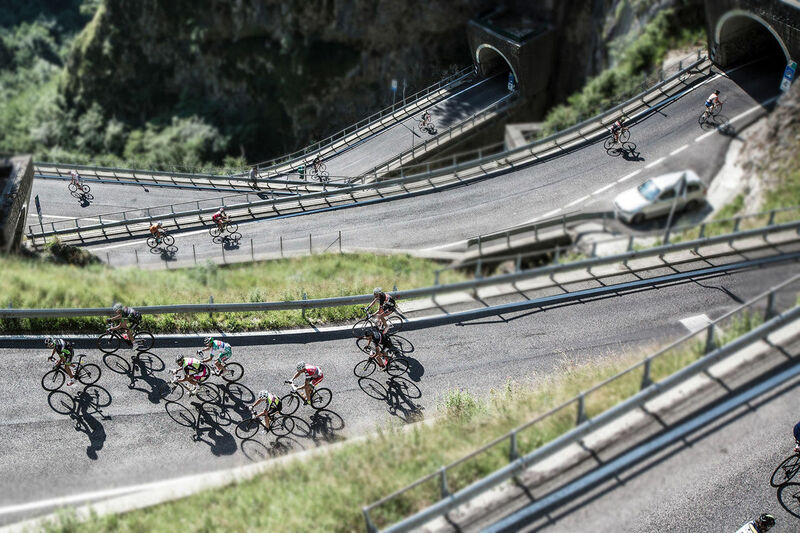 Starting from the town of Feltre the route quickly climbs into the Dolomites tackling legendary climbs of the Croce D'Aune, Passo Manghen, Passo di Rolle, Cima Campo, Passo del Brocon and the Passo di Gobera. 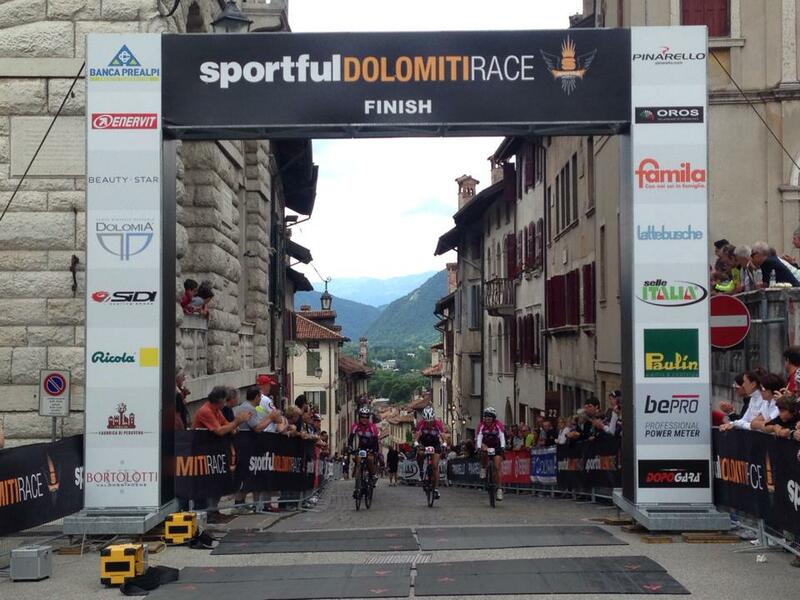 After 200km you return to Feltre with over 5000m of climbing in the legs! Evening meal will be in the Trattoria (4 courses water and espresso ) excluded wine. Departure day…..Time to say goodbye, a good flight back home or a pleasant stay in Italy. If there is time you can do a short local bike ride (unguided but maps provided) before leaving. The most important gateways to the north part of Italy are Venice,Treviso and Milan. Venice Airport (named after Marco Polo) is one of the main hubs to the most romantic city in the world. Many companies have direct flights from all over the world to Venice. Some random destinations are New York, Dubai, Tokyo, Beijing and all important airports in Europe. There's no train connection between Venice and the airport but the Fly bus goes to Venice main railway station, Venezia-Mestre.The airport is 12 kilometres away to downtown Venice. The other airport is Treviso airport. This airport is mainly used by Ryanair and lies 20 kilometres north of Venice. There's no train connection with the airport. You can take a bus to Treviso and from there you can take the train to Venice. The ride from the airport to Treviso is only 3 km. 3 x Diner -Evening meal will be in the Trattoria (4 courses water and espresso ) excluded wine. Possibility of vegetarian and vegan menu please advise before arrival.